Course Description: This course provides opportunities for students to communicate and interact in French with increasing independence, with a focus on familiar topics related to their daily lives. 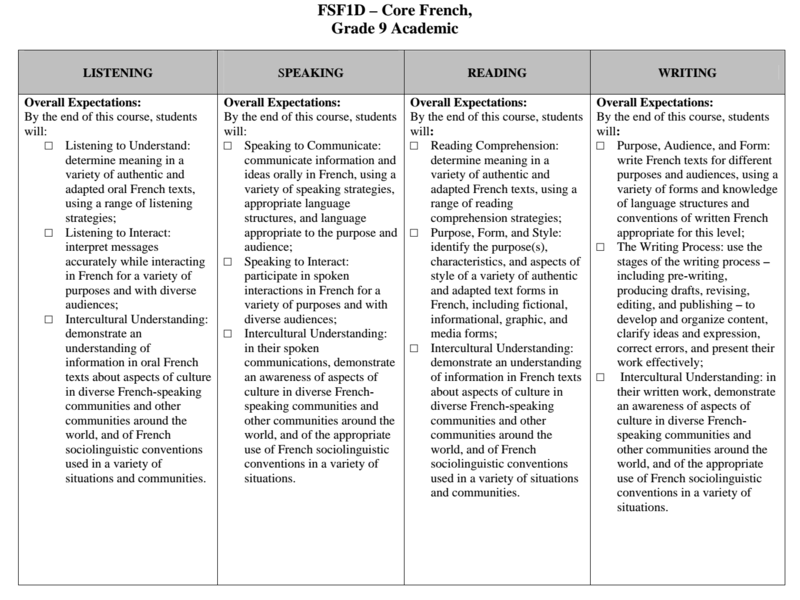 Students will develop their skills in listening, speaking, reading, and writing by using language learning strategies introduced in the elementary Core French program, and will apply creative and critical thinking skills in various ways. They will also enhance their understanding and appreciation of diverse French-speaking communities, and will develop skills necessary for lifelong language learning.